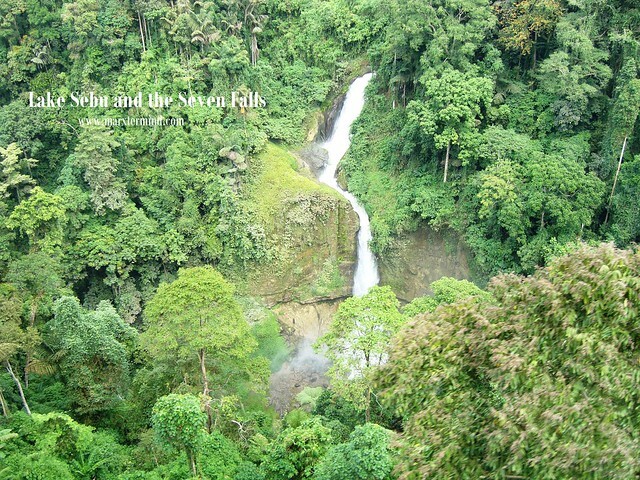 Lake Sebu is a 2nd class municipality in the province of South Cotabato, Philippines. Its economy is mainly based on aquaculture of Tilapia grown in fish cages floating in the natural lake like Lake Lahit, Lake Sebu and Lake Seloton. 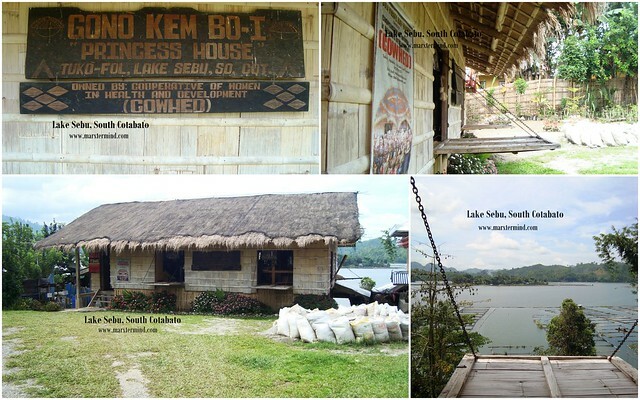 Lake Sebu being the biggest one among the three lakes with 564 hectares. 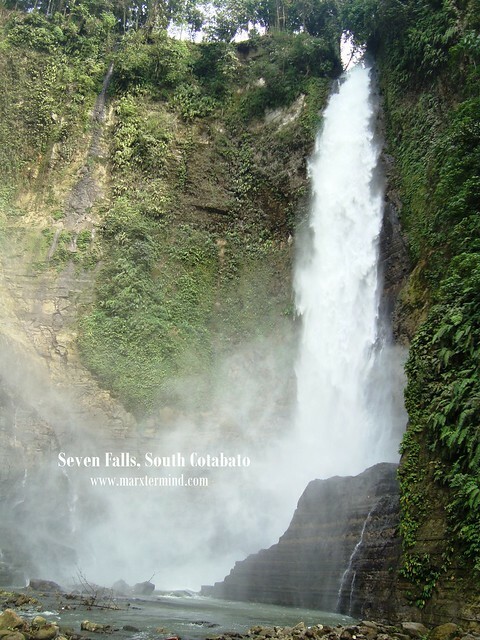 The Lake Sebu is situated in Allah Valley region surrounded by hills and mountains covered with rain forest where the seven falls could also be found. 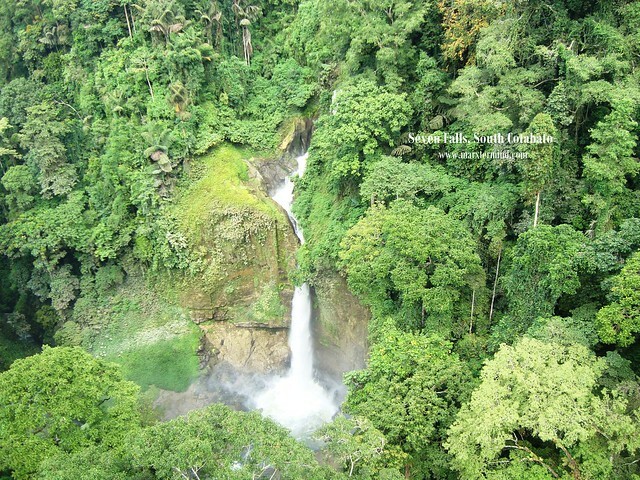 Lake Sebu is recognized as one of the country’s most important watershed. It supplies irrigation to the provinces of Sultan Kudarat and South Cotabato. 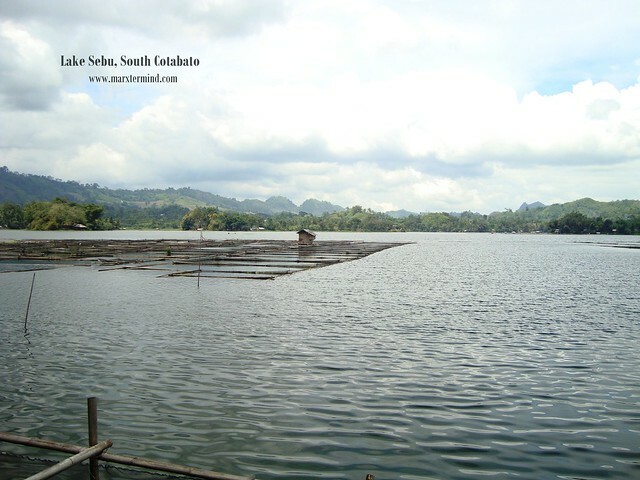 The lake is considered as of the prime eco-tourism destination in Lake Sebu. 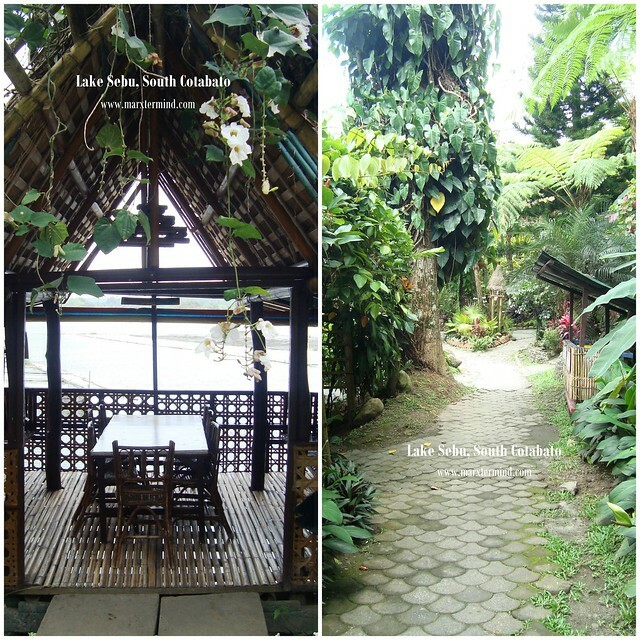 “The villages around the lake have been turned into an independent municipality called Lake Sebu after being a former village of Surallah. How to get there? From Amigotel, we rode a tricycle going to Bulaong Terminal. I suppose it’s a main terminal in General Santos City as I saw some buses here with routes to some provinces/places in Mindanao. From there, we rode a Yellow Bus Line bus going to Marbel. Marbel is also know as Koronadal City. The name Marbel is popularly known to locals. There are two options, one air-conditioned bus with signboard Marbel (Non-Stop), fare costs approximately PHP 80.00 and the other one is non air-conditioned bus with signboard Marbel – Polomok, fare costs approximately PHP 50.00 each with stop to Polomok town to pick-up some passenger. We opted the non-stop bus to Marbel with an hour travel time. When we reached Marbel, we rode another yellow bus line going to Surralah. Fare costs about PHP 24.00 with 40 minutes travel time. 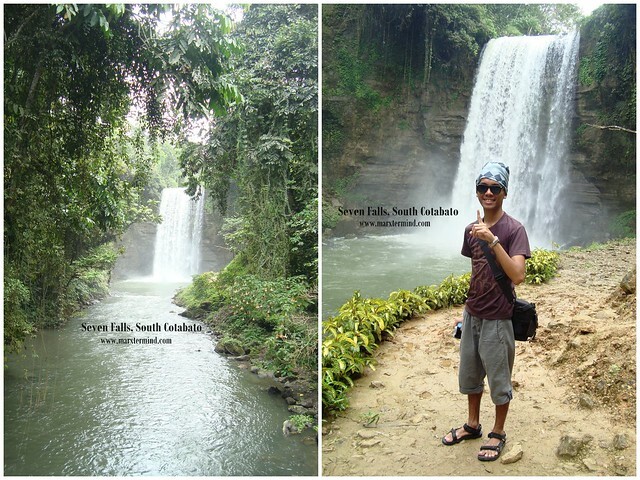 Then from Surralah terminal we took a jeep to Lake Sebu. Fare costs about PHP 30.00 with 50 minutes travel time. Actually, I saw that there are vans from Marbel that directly goes to Lake Sebu but it was too late as I just saw the terminal when we’re already inside the bus on our way to Surralah. The terminal is just located few meters away from the bus terminal. Lake Sebu. It was already lunch time when we reached the town proper. Since we didn’t want to happen the same thing happened to us in Maitum, Sarangani we asked some locals about the last trip schedule back to Surralah. According to them, there are no fixed schedule for jeepneys but for vans, the last trip is like 5:00 PM going to Surralah / Marbel (which destination depends on the driver). Afterwards, a moped for rent (habal-habal) driver approached us and offered his ride. Me and Maricar asked him to take us to Punta Isla Lake Resort. Fare is PHP 10.00 each with 10 – 15 minutes travel time. 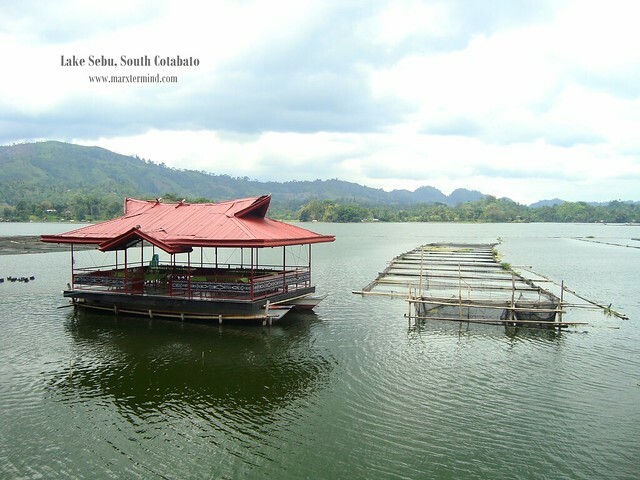 Punta Isla Lake Resort is well-known resort in Lake Sebu. They offer Tilapia meals, which comes into different kinds of dishes which is one of the reasons why I opted to have our lunch here. Upon entering the resort, a staff accommodated us to the restaurant area. We then had our lunch in one of the nipa huts of the resort near the lake area. We actually wanted to have it on the floating restaurant but there’s a fee. The place is so laid back, it gave us the setting of tranquility and calmness. It is so very relaxing then add up the time then and how the setting looks like, I want to go for a power nap. While we waited for our food to arrive, two T’boli women performed native dances to us. I was in relish as I watch them perform. I have this heart on dancing and singing, so I do appreciate people showing their talents, most likely in singing and dancing. The T’boli woman besides me in the right corner was part of one of the Nescafe TV commercial. 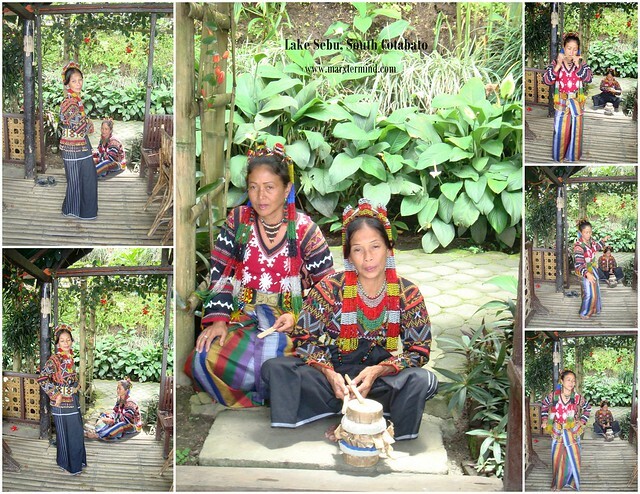 Me and Maricar enjoyed watching the cultural show that these T’boli women performed to us. I would like to see more of their culture. I must go back to this place. We ordered Chicharon Tilapia and a native chicken with soup (I forgot the exact name of this dish). We both enjoyed our orders. The Chicharon Tilapia is so crispy. Sarap papakin. There are still more Tilapia dishes to try for which I loved to try to but since we’re just two who we’ll be sharing we just settled ourselves to order certain dishes. We even haven’t finished it all. Aside from eating sort of Tilapia dishes, one can also go boating around the lake. The calmness of the lake and the serenity of the surrounding were perfect for a boat tour. We left after awhile and went to COWHED. It’s just a walking distance from the resort. COWHED stands for Cooperative of Women in Health in Development. It’s a cooperative being operated by T’boli women. COWHED is like a pasalubong center where souvenir items and crafts are available. We also found some clothings for sale, which I assume they are T’nalac fabrics which the tribe is known for. We also saw a museum along the street which can be walked for 5 minutes from COWHED. Seven Falls. We left COWHED and moved on to our next destination, the Seven Falls. It was the same driver who took us to the Seven Falls. The Seven Falls is a range of majestic falls lined-up one after the other. The common transportation to get to there is through motorcycles (habal-habal). From the town proper it took us about 15 minutes to get to the Seven Falls area. 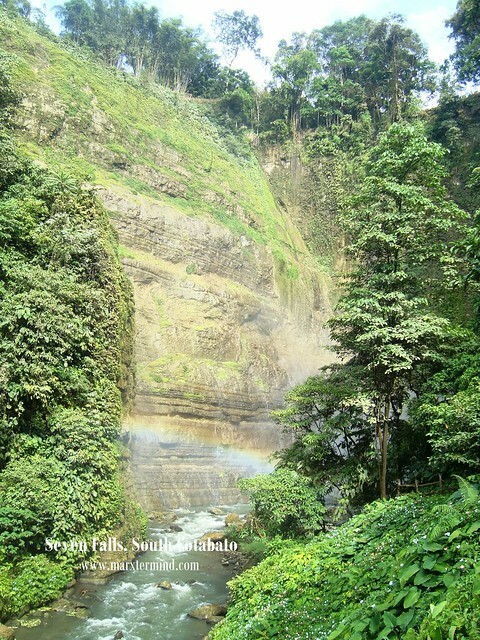 Entrance fee to the Seven Falls is PHP 20.00 for adult and PHP 5.00 for children. Discounts are available for students with ID and senior citizen. 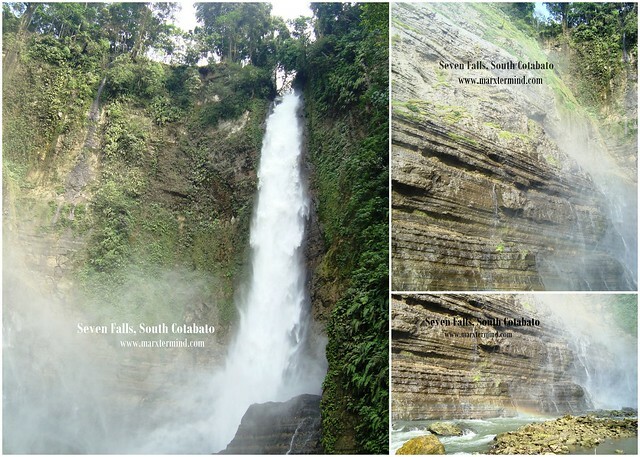 Our driver accompanied us as we walked down the path to Dongon Falls, one of the seven falls in Lake Sebu. We were so excited walking as we hear the sound of raging water coming from the falls. This ain’t the main affair yet, it was just a sample of what to expect about this trip. Our guide then accompanied us to the Seven Falls zip line center. The zip line costs PHP 250.00 each. 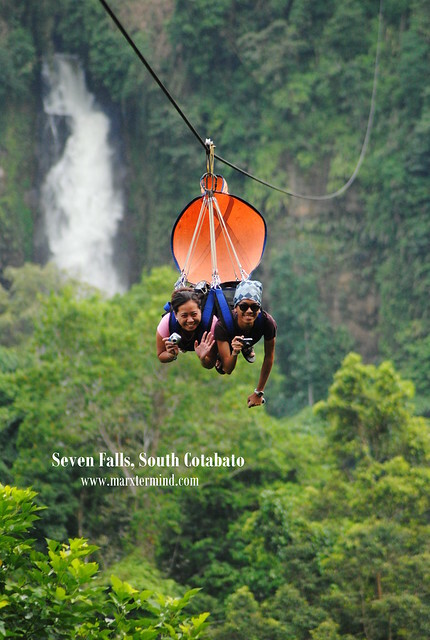 The Seven Falls Zip line is said to be the highest in South East Asia at a stunning height of more than 600 feet. Instead of fear, me and Maricar were so excited to do it. When all was set, we started to slide along the suspended cables. Waaah! I couldn’t describe how I felt that time but I was in awe seeing the view beneath me. It feels like flying. I took a video of our ride but I’ve decided not to post it as I want you to see and experience it on your own. This ride is a must try. The experience is priceless. It’s all worth it. Upon landing, we transferred to another zip line area to get to the other part of the zip line center (different one). When we reached the other end through a zip line ride once again, we were accompanied by our driver guide to take a closer look of the falls we saw during the ride. The path to the falls is a little muddy. I can’t think of any words to describe it, it’s just so magnificent. We went back to the zip line center and rested for awhile. It was so exhausting walking through the path. It was already 3:00 PM so me and Maricar decided to go back to the town proper. I would like to trek down to explore more of the falls we’ve seen earlier during our zip line ride but we have no time left for that, maybe next time. We paid our guide/driver PHP 250.00 for the transport service. At 4:00 PM, we left Lake Sebu and went back to General Santos City. If there’s a place that exceeded my expectation then it would be Lake Sebu. I actually haven’t expected a lot about this place but this place is endearing. A place with rich in culture yet offers real adventure. For home stay in Lake Sebu, you may contact Maria Todi at Maria’s homestay which is located at Brgy. Lambanig, Lake Sebu, Cotabato. thanks for the info.. will be visiting this place next week. please advise if we need to pre-arrange for the tour or a DIY on the spot is okay. 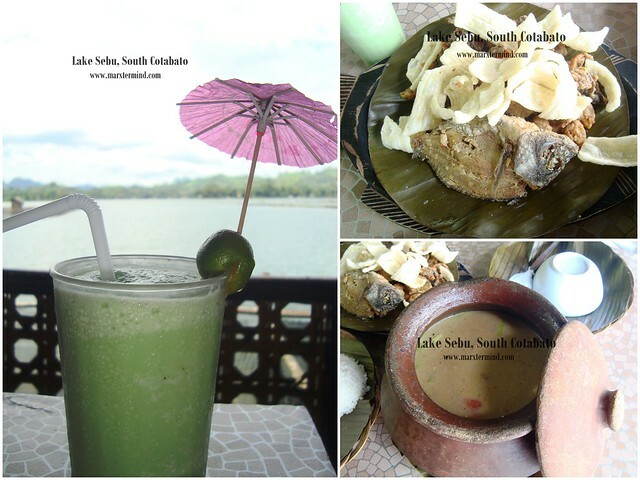 You didn't try a lake cruise at Lake Sebu? I always see a tourism pic of Lake Sebu with T'boli natives paddling on a lake with numerous lotus flowers… is this found in this place? I think its buco pandan shake, nalimutan ko na! Hehehe! wow. impressive naman 'yang falls experience mo. kainggit. teka, avocado drink ba 'yung nasa photo? ayus yung anecdote sa nescafe commercial he-he. i think it's P50k per head ang talent fee or even more for appearing in a commercial if you're not the main model. Hey! Sorry nakalimutan ko talaga yung tawag sa sabaw na yun. Para siyang Inihaw na manok na sinabawan e. Hindi kaya "Sinugpang" or "Sinukmal" kaya? hahah! Basta ang naaalala ko sa term, may minassacre na manok. I really enjoyed our Gensan trip. Korek! Sana nga sinama natin si Donnie nun. Winner! Yes… I love Mindanao. Nakakaexcite talaga puntahan ang mga less traveled places. 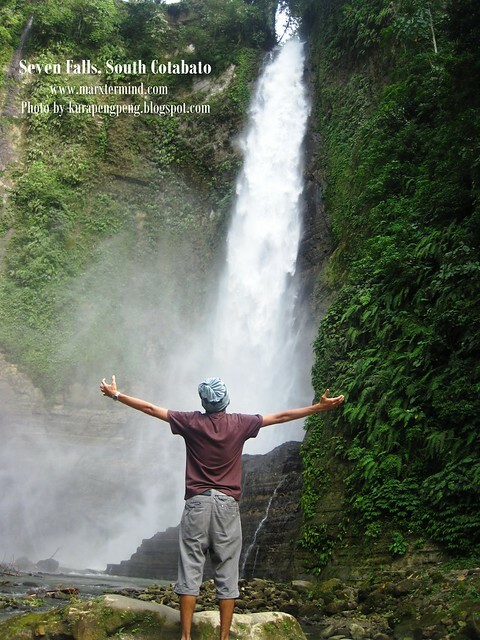 indeed one of the top spots in mindanao. at sobrang mura pa talaga ang mga entrance fee. importante nga din na check yung mga options for return trip kasi hirap pag maiwan. ang ganda ng falls. nice.